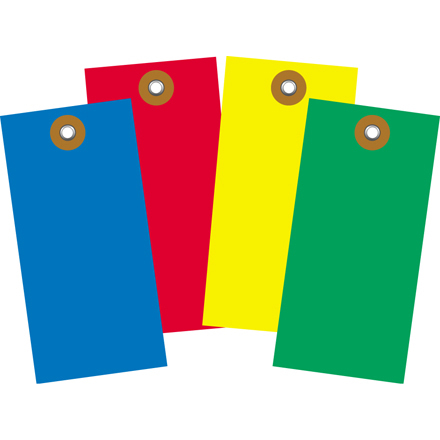 Our Tyvek Tags are in 4 vibrant colors for color coding your inventory. 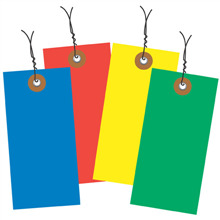 4 vibrant colors to code your inventory and shipments; Red, Green, Yellow, and Blue. Tyvek tags made from strong spun bonded olefin. These tough tags are chemical and mildew resistant to handle the harshest environments.3/16” metal eyelets are reinforced and tear resistant. Tyvek tags are available plain or pre-wired with a 26 gauge wire. Custom printed tags available call for information.